When considering bankruptcy, it’s common to hear others’ suggestions that will allegedly prepare you financially for the bankruptcy process or help make your bankruptcy easier. However, some of this well-intentioned advice can actually jeopardize your bankruptcy claim. Here’s what you want to avoid before filing for either a Chapter 7 or a Chapter 13 bankruptcy. It’s a common misconception that the less debt you go into bankruptcy with, the better. This leads people to attempt to pay off certain debts, like medical or credit card bills. However, in doing so, you can actually hurt your case. Many of the smaller debts people pay off are discharged anyway in a bankruptcy. 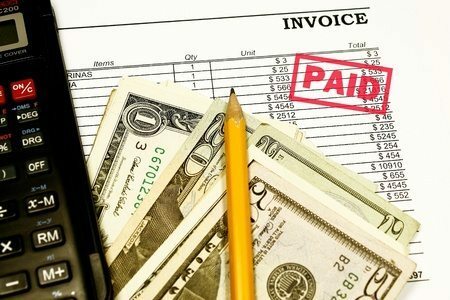 If you can make an out-of-the-ordinary payment to a creditor, the court may believe you have hidden sources of income. Another thing many people attempt to do before filing bankruptcy is to transfer their assets. They may try to transfer their savings into someone else’s account or put the deed of their home into a friend’s name. This doesn’t protect your assets because the court will generally still consider them yours if the transfer was done within a certain period of time before filing, and there’s a potential that the court may even find these transactions fraudulent. If you think you may be filing for bankruptcy now or in the fairly near future, stop using your credit cards immediately. Don’t make the mistake of making a purchase and then filing, thinking that everything will be discharged. In fact, if you used your credit card within a certain time of filing, the court may isolate those transactions and consider them to non-dischargeable. In a worst-case-scenario, making large purchases on credit cards and then filing for bankruptcy right away could result in your case being dismissed entirely. If you’re struggling with bills, bankruptcy may be a viable option to give you much needed financial relief. Consult with an experienced Florida bankruptcy lawyer today to learn more about your legal options and how best to prepare for the process of bankruptcy. At the Law Firm of D.C. Higginbotham, we can review your case and help you determine if bankruptcy is the best choice for you. Call today for a consultation at (904) 354-6604.